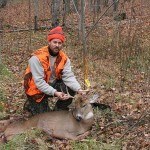 We have a deer camp in north Michigan close to some public land where we’ve hunted for many years. On this particular hunt, I was hunting another pinch point where the woods narrowed-down. 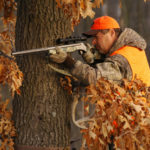 When hunters come into the woods, they push deer through that pinch point. I call this spot the trail of terror, because we see a lot of deer coming through this pinch point. This strip of woods narrows down to about 100 yards, and we can see either side of the woodlot. 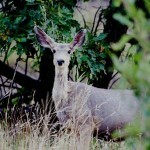 I was facing the direction where the deer most often came from when I heard a noise behind me. On this hunt, I was using a .300 short Mag. 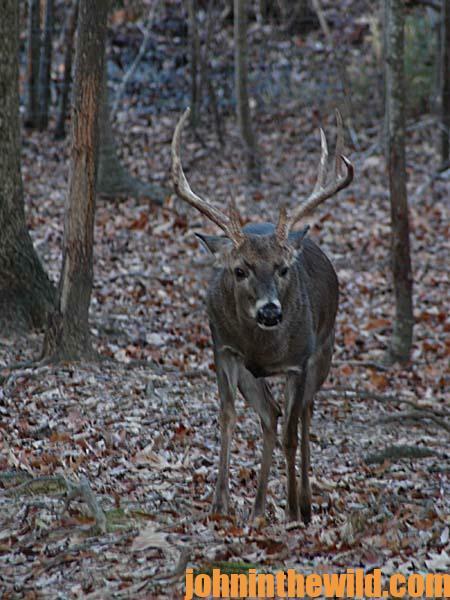 When I turned to look, I saw a nice 9-point buck behind me about 10 yards from my tree stand. I aimed for his front shoulder. 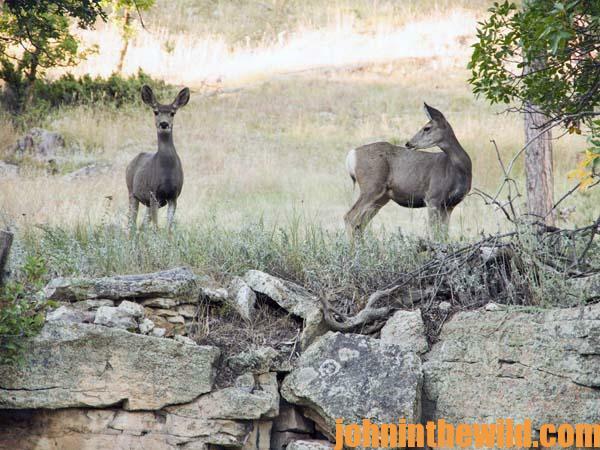 The buck was quartering to me, and I knew my bullet would go in the heart and lung area, so I fired. 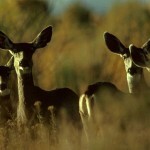 When the deer took the bullet, he took off running right toward the swamp. Since I knew I didn’t want the buck to get in the water, I quickly bolted my rifle and aimed for the middle of his spine. As he was running away, I fired again, and the buck went down. When I took the second shot, the buck was only about 50 yards away from me. 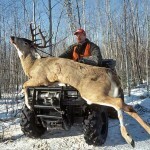 This was the biggest buck I’d ever taken off this public land where I hunted. On this hunt, I was really lucky that I could get my truck within 100 yards of this buck. So, I only had to drag him about 100 yards out of the woods. I’ve always wanted to take a buck with my blackpowder rifle. But because muzzleloader season comes in at the end of deer season, I usually don’t have a deer tag left to hunt muzzleloader season. 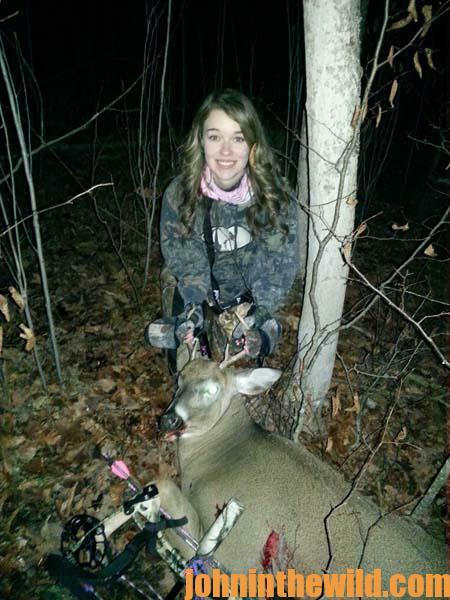 However, this year, I have a blackpowder hunt scheduled with my older daughter – 25-year-old Megan. My younger daughter, Mindy, is 19. Mindy is going to let Megan borrow her blackpowder rifle to hunt with me. We’ll be loading with two pellets of Triple Seven powder (https://www.hodgdon.com/tripleseven.html), and shooting PowerBelt bullets (www.powerbeltbullets.com). 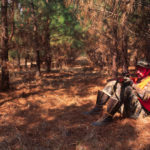 In our area of Michigan, blackpowder season runs December 4 to December 11. So, I’ve made sure that I will be free those 2 weekends to take Megan, because she and I never have hunted together before. Bowhunting is my favorite way to hunt whitetails. 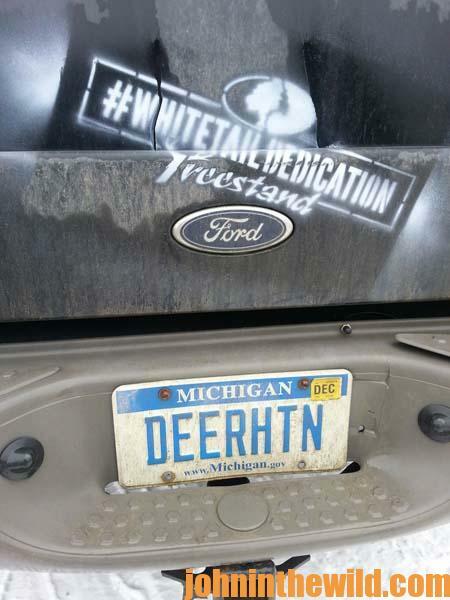 Our season in Michigan runs from October 1 until the end of December, but we only have about 2 weeks of gun season. I like the PSE Dream Season Decree (http://pse-archery.com) because it’s super smooth, very accurate and fast. I like to shoot only one pin. Once I’ve ranged the distance I want to shoot, I’ve learned to adjust where I aim with that one pin. Another reason I like the Decree is because it’s extremely quiet. In previous years, I’ve shot bows that sounded like rifles being fired when I’ve released the strings.